Local DJ & Photo Booth Hire service offering cost effective entertainment. Photo Booth Hire available in Dalton with or without a DJ. Party Photo Booth and Disco Hire Packages. Children's parties include games, competitions, bubbles, haze/smoke, sound system & special effect lighting at no extra cost. Professional sound system & special effect lighting. Music suitable for all guests, not the minority. 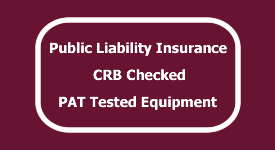 PAT tested equipment & Public liability insurance. 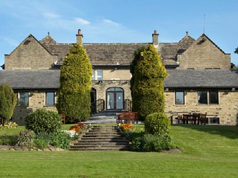 Providing Mobile Discos, DJ's & Photo Booth Hire to Yorkshire. To get a quote for us to entertain at your party Click Here or fill in the Quick Enquiry. What do you expect from a DJ at your Party? Jade Entertainment has over 20 years of experience in providing disco entertainment, so we know what is required to make your party a success by providing microphones for speeches, help with playlists, provide lighting for bands and we always set up our equipment before guests arrive. 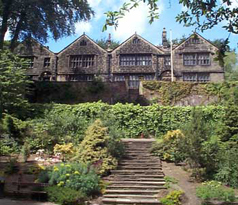 We also liaise with the banqueting manager at the venue to make sure everything runs smoothly. Choosing the wrong DJ can make your party a disaster, so take time to choose somebody with experience, the right attitude, professional equipment, and last of all a flair for helping people enjoy themselves. "Just wanted to say a big thank you from us all (and from everyone who attended the party) for the wonderful evening you gave us on Sunday. Harriet had a really great time and Eleanor (her sister) has said she wants a neon/day glow disco next year too!! For us, it was so nice, as you said, to just sit back and have the evening unfold around us. Totally appreciated!"